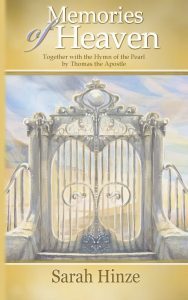 I am so excited to bring forward a new book, Memories of Heaven: Together with the Hymn of the Pearl by Thomas the Apostle. 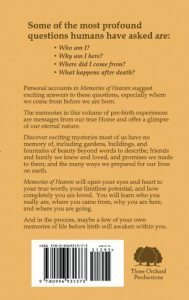 Twenty years in the making, it has been a joyful labor of love to present such richly detailed accounts of those who retain memories of heaven, interspersed with quotes and texts from Plato to modern NDE experiencers. I hope you enjoy it! The book is available in print at Amazon.com and will be available on Kindle in a few days.